Summary: An older woman named Elise lives alone as a recluse, scared of everything outside her home. The play of a little boy named Emil brings him to her doorstep. A bond of friendship forms and Elise’s worldview brightens. Literary elements at work in the story: Simple sentence structure and conversation between the characters makes the story easy for young readers to understand. The book is translated from German to English by Sally-Ann Spencer. The true gem of the book is not the text but the way the story comes to life through art. The illustrations are created with mixed media so they look three dimensional. The pages begin drab, dark, devoid of color as we are introduced to Elise. However, as soon as the boy enters the story, he brings light and color with him, transforming the home into a colorful space. The actions and dialogue in the narrative are quite realistic. For example, the little boy enters the house and immediately asks to use the restroom. He then wanders the house, curiously asking questions about Elise. She is taken aback by his interest but finds herself enjoying connecting and playing with him. A wonderful metaphor for how children enliven the world and also how unexpected friendships can transform our hearts and minds. How does the perspective on gender/race/culture/economics/ability make a difference to the story? There are lessons in this narrative for children and adults. For older adults, the notion of loneliness and seclusion is very real. The world changes outside, but as people age sometimes it is difficult to keep up. 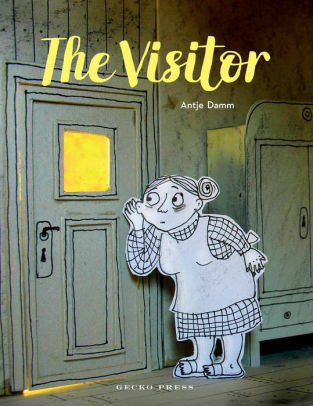 The book highlights the importance of relationships and friendships with people of all ages. For children, the encouragement to be playful and engage other people in play is helpful. It is a great lesson in kindness and compassion. In a congregational context, this is an excellent book to share when exploring the importance of intergenerational activities and relationships throughout a congregation. The characters in the book are represented as Caucasian but this is doubtful to be a hindrance to other races because the themes cross cultural boundaries. Both characters are modest and simple in presentation. The little boy is playing with a paper plane, something most kids enjoy which requires imagination. Theological Conversation Partners: An interesting article one might pair with this text is “Why The Church Needs Intergenerational Friendships,” by Joseph Rhea. It can be found here. The article discusses what can be gleaned from such friendships such as wisdom and wonder. Biblically, one might explore intergenerational relationships found in the scriptures such as Jesus’ time in the temple at age twelve, or Mary’s interactions with her older cousin Elizabeth while pregnant. One might ask why it was important to Jesus for the children to be allowed to come to him in the same way as adults, and why were the disciples fearful of such relationships? Exploration of Matthew 6:25 and following can open discussions about worry and fear. Elise is described as being fearful of all kinds of things. What are you fearful of and how does it keep you from living life to the fullest? Emil and Elise form a friendship over reading books. What are some other ways that you can build friendships with other people in your community? How might this story align with stories in the Bible where we learn about who are neighbors are and how to love them? Thanks to Union Presbyterian Seminary alumna Loren Tate Mitchell for the book review this week. The Visitor by Storypath is licensed under a Creative Commons Attribution-NonCommercial 4.0 International License.